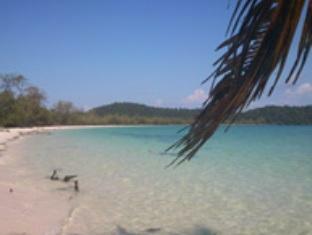 Situated in Koh Rong Island, Island Palace Bungalows Resort is the perfect place to experience its surroundings. From here, guests can enjoy easy access to all that the lively city has to offer. With its convenient location, the hotel offers easy access to the city's must-see destinations. 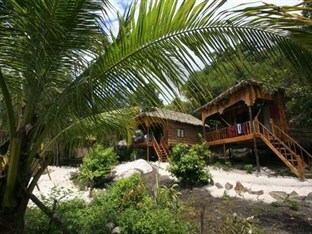 At Island Palace Bungalows Resort, the excellent service and superior facilities make for an unforgettable stay. The hotel provides tours, Wi-Fi in public areas, laundry service/dry cleaning to ensure our guests the greatest comfort. Step into one of 22 inviting rooms and escape the stresses of the day with a wide range of amenities such as non smoking rooms, shower, internet access – wireless (complimentary), complimentary bottled water, internet access – wireless. Besides, the hotel's host of recreational offerings ensures you have plenty to do during your stay. Island Palace Bungalows Resort is your one-stop destination for quality hotel accommodations in Sihanoukville. Whether you're a tourist or traveling on business, Smile Guesthouse is a great choice for accommodation when visiting Sihanoukville. From here, guests can enjoy easy access to all that the lively city has to offer. With its convenient location, the hotel offers easy access to the city's must-see destinations. Smile Guesthouse offers impeccable service and all the essential amenities to invigorate travelers. Guests of the hotel can enjoy on-site features like Wi-Fi in public areas, bar/pub, restaurant, tours. Experience high quality room facilities, including fan, internet access – wireless (complimentary), shared bathroom, complimentary bottled water, to help you recharge after a long day. The hotel's private beach are ideal places to relax and unwind after a busy day. Smile Guesthouse is a smart choice for travelers to Sihanoukville, offering a relaxed and hassle-free stay every time. 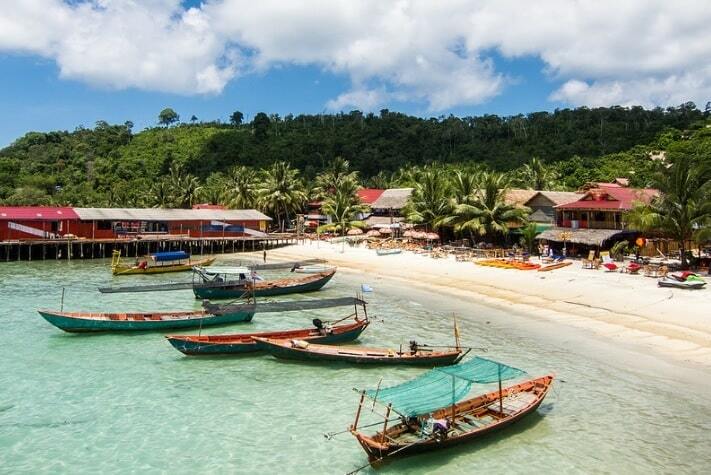 Situated on Koh Rong Island, you'll feel right at home at White Beach Bungalows at Koh Rong Island, which offers quality accommodation and great service. 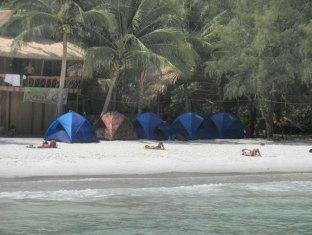 White Beach Bungalows at Koh Rong Island is the perfect place to experience Cambodia’s magnificent islands. At White Beach Bungalows at Koh Rong Island, the excellent service and superior facilities make for an unforgettable stay. The hotel provides laundry service, tours, luggage storage, 24-hour front desk, safety deposit boxes to ensure our guests the greatest comfort. All guest accommodations feature thoughtful amenities to ensure an unparalleled sense of comfort. The hotel's recreational facilities, which include private beach, garden, fishing, diving, water sports (non-motorized) are designed for escape and relaxation. Discover an engaging blend of professional service and a wide array of features at White Beach Bungalows at Koh Rong Island.